Nature Communications has issued an expression of concern for a 2014 paper by beleaguered surgeon Paolo Macchiarini, citing concerns over whether the paper accurately reports the experiments that were carried out. According to the notice, Macchiarini, a former rising star in the field of transplant medicine, agrees with the expression of concern. Three of his 22 co-authors have objected. “Experimental orthotopic transplantation of a tissue-engineered oesophagus in rats” describes transplanting an esophagus into rats that was seeded with their own stem cells, and notes that all animals survived the study period (14 days), and gained more weight than rats given a placebo operation. It’s a topic Macchiarini has made famous, as the first surgeon to perform a similar procedure with a human tracheal transplant. But he’s faced charges of misconduct in the last few years, resulting in his dismissal from Karolinska Institutet (KI). Nature Communications is publishing an editorial expression of concern on the manuscript ‘Experimental orthotopic transplantation of a tissue-engineered oesophagus in rats’ from Sjoqvist et al. to alert our readership to concerns regarding the integrity of the study. An investigation related to this research has been conducted by the Expert Group for Misconduct in Research at the Swedish Central Ethical Review Board on behalf of Karolinska Institutet. A statement on behalf of the Expert Group summarizing the results of this investigation (http://www.epn.se/media/2374/o-1-2016-statement-expert-group-for-misconduct-in-research-160906-eng.pdf) raises concerns regarding the extent to which the data presented in this Article accurately report and are fully representative of the results of the experiments that were carried out. Concerns have been raised regarding the in vitro characterization of the oesophageal scaffold, in vivo imaging of the transplanted oesophageal scaffold and the degree to which its transplantation into animals was successful. We are currently following our established process to investigate these issues further. P.M., M.A.B., H.K., P.D., B.J. and D.A.T. agree, whereas S.S., P.J. and M.L.L. disagree with this notice. The other authors could either not be reached or did not provide a clear response. “S.S.” stands for first author Sebastian Sjöqvist, listed as a graduate student at KI. “P.J.” is second author Philipp Jungebluth, who was recruited alongside Macchiarini, according to Science. The paper has been cited nine times, according to Clarivate Analytics’ Web of Science, formerly part of Thomson Reuters. Macchiarini has been dogged by accusations of misconduct in 2014. After KI initially cleared him of misconduct, they reopened an investigation following a documentary and a piece in Vanity Fair alleging additional misdeeds, such as operating on patients in Russia who were not unwell enough to warrant such a risky procedure. For more details, check out our timeline of recent events in Macchiarini’s career. He has one other expression of concern — for his seminal 2011 paper in The Lancet, which described the first case of a transplant using an artificial trachea seeded with the patient’s own stem cells. The journal has also removed multiple authors from the paper, at their request. And he had a paper retracted in 2012 for plagiarism. 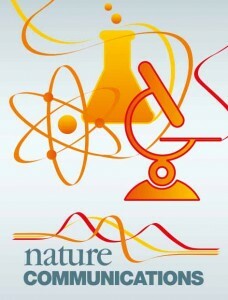 I can entirely understand why Nature Communications would want to carry out its own, independent evaluation of the accusations that have been made in order to reassure themselves that there were no serious shortcomings in the published manuscript (other than the simple – although regrettable – mistakes which we have already requested are corrected in an erratum). I am very happy to support them in that important investigation. Of course other authors may disagree with the journal’s decision under the circumstances. I am not aware of every author’s response, but all of us have had our reputations destroyed by the false allegations of misconduct made against us that I can understand why this would feel like another such attack. We do not agree with the statements made from [Central Ethical Review Board, or CEPN]. Judging from the conclusions, it is clear that our responses have been overlooked or were dismissed since they deemed our supported responses to not contribute information of any importance for the assessment of misconduct. Due to CEPN’s handling of the matter the CEPN statement is incorrect and misleading in our opinion. We would also like to stress the fact that CEPN’s statement is only one part of the ongoing investigation at the University/KI and only serves as guidance to the university/KI. It is the university/KI that decides in the matter and at the moment we are working on a statement to the university in which we will present our view and evidence that our research should not constitute scientific misconduct.